About: Little Secrets is dedicated to making the most delicious chocolates using only natural and Fair-Trade ingredients. We take candy making seriously, but not ourselves. We have 5 signature flavors of dark chocolate pieces (think clean versions of M&Ms), and 3 flavors of Crispy Wafers (clean version of the KitKat). We also create seasonal flavors such as pumpkin, peppermint and gingerbread cookie. Company History: Decades ago inside a corner store, a nine year old Chris Mears on roller blades stealthily slipped a piece of candy into the pocket of his jeans and rolled his way to the door. He was stopped, did his time, and reformed his ways, but his sincere love of chocolate still remains. Now a certified grown-up with a penchant for unwrapping candy bars mid-afternoon, Chris wanted to find a way to make his guilty pleasures less incriminating. 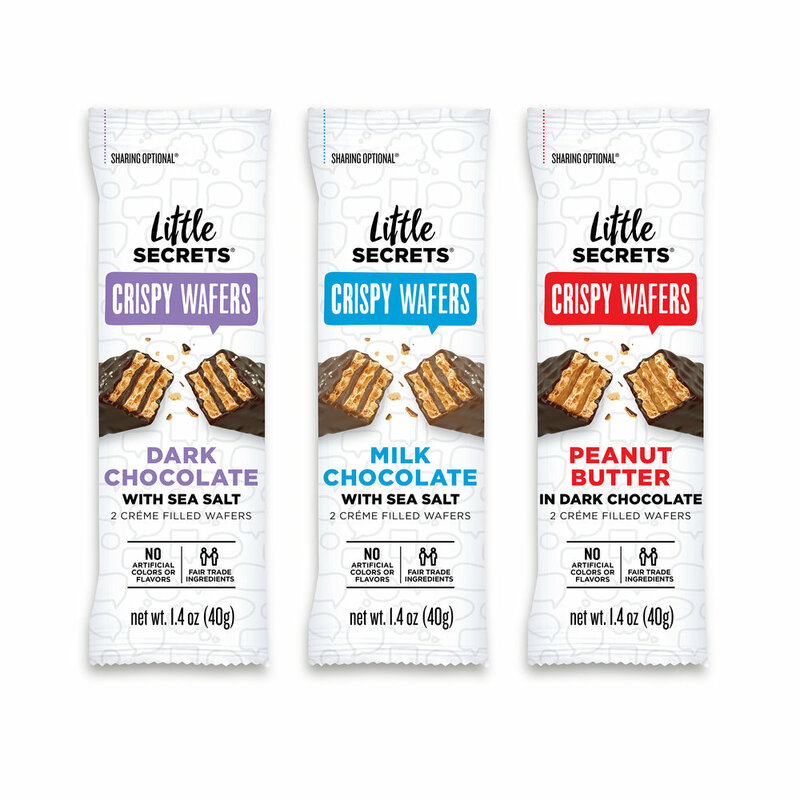 And yea, verily, so became Little Secrets, an incredible chocolate brand that sources the best ingredients, says nahhh to artificial colors and flavors, and encourages hiding a bag of our candy-coated chocolates in your top desk drawer.